Welcome to Wellington, the hen party capital of New Zealand. Wellington is a vibrant, amazing energetic city with great food, culture, craft beer, coffee and a huge range of party events. Enjoy a weekend out with your mates, with a huge range of hens party ideas, with great private rooms for strippers, or have one of our hostesses take you around Manners Mall on a Saturday night. With a huge range of hen do ideas, from go karts, poker tournaments, a night out at the casino or an epic day out with the lads, check out our range of options. 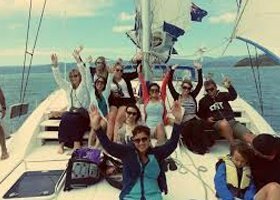 Set sail from Wellington Harbur on a 42-foot catamaran. Sit back and relax in the sun or enjoy a night cruise in Summer. Food is available on a per head basis or alternatively, you are welcome to organise your own catering. Fully licenced bar on board and BYO options. Shorter cruise durations are available. 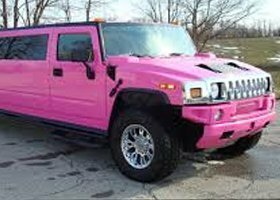 Cruise around Wellington in style in a black or pink Hummer Limousine! Stop off at a selection of bars and clubs or simply stay in the limo and have your own private party. You are welcome to organise your own catering. BYO alcohol. Longer and shorter hire durations are available. Get members only specials emailed to your inbox each and every month. Kiwi Strippers Copyright © 2019. Copyright © Kiwi Events Limited All rights reserved.